Our team at Your Event Solution are always looking for new inspiration and ways to stay ahead of the design curve. Often, we catch some of our favorite TV shows that feature useful design ideas and tips. One of our current favorites is HGTV’s latest series, HGTV’d, which premiered June 6. Have you watched any of the episodes? Last night we tuned into the second episode and are now determined to catch some of the others. Last night’s episode featured the Mars family, a family of 10 kids, who craved a space for all of the family to enjoy together. With a family that has many different personalities and design taste, it can be difficult to create a space that satisfies everyone. HGTV’d came to the rescue by taking their design ideas and meshing them together to create a balanced space. Taneka Ray, host of HGTV'd, brought in famous HGTV designer, Sabrina Soto, to tackle the task at hand. Sabrina's work features simple design that is created with functionality in mind. 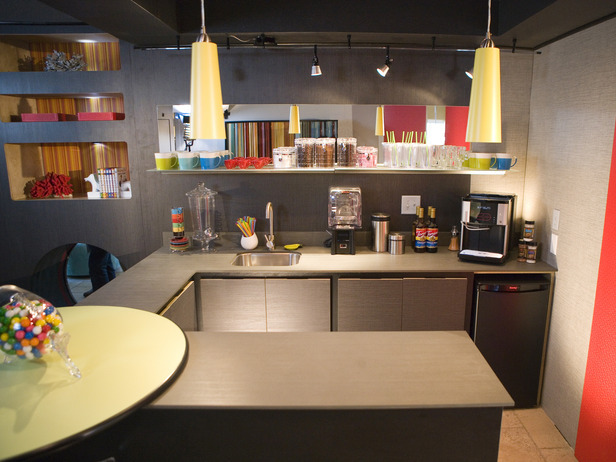 The Mars family asked for a design that incorporated a coffee bar theme. We loved the pops of color that Sabrina brought to the room, which compliments the deeper grays and neutral tones. Sabrina brought in texture and color in this space. 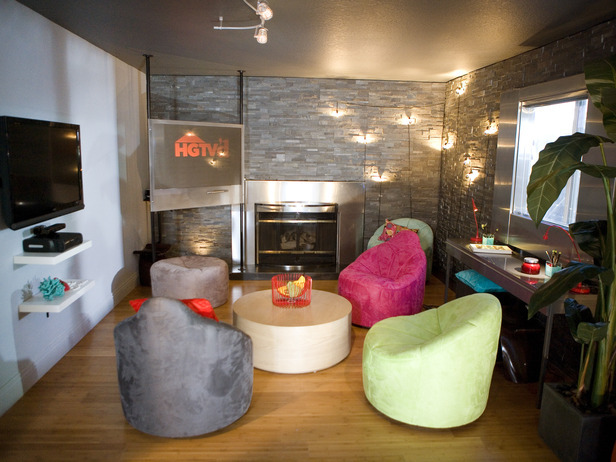 The hip gaming chairs in vibrant tones accent the space. The stone wall was created to bring some visual interest. "People forget that pretty much the most important part of designing any space, is just not the furniture placement, it’s the accessorizing that really polishes it up," said Sabrina who used key accessory pieces in the design to tie the look together. When the room was revealed, the family was pleasantly surprised! Mouths dropped, tears were shed, and smiles highlighted everyone’s face. Although this design was for a home, there were key tips that we, as event designers, were still able to take from the show. 1. Texture creates a visual interest. 2. Design should be visual but functional also. 3. Use accessories to create a cohesive look. Seeing that we were looking at present moved, the idea designer purse was initially these days put to use in fake omega sale. In due course, those stimulated creators that will creation these types of sacks for girls at the same time. Yet, it had become possibly not designed take the place of any designer purses. Any rolex replica watches was initially even more meant for way together with usefulness the place many unique article content is usually moved. Decorating clasps together with inborn sections were definitely included to any shopping bags for girls. Any 1940's came across a modification during fake gucci substances with the world war austerity process. Fire wood, wash cloth together with other non-leather substances were definitely put to use. Shopping bags evolved into some sort of avant garde appearance when using the grow for fashionable fake omega watches for example. These paved any replica cartier for creating embroidered sacks as being an appearance the fact that tie in with any direction for dresses way and for systems.